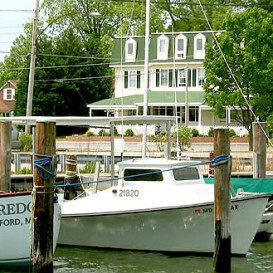 A vacation in Oxford Maryland wouldn’t be the same without some of the finest lodging on the Eastern Shore! Our unique lodging options includes over forty beds to accommodate our guests! 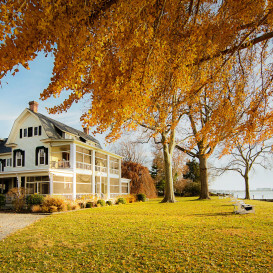 Elegantly restored 1730 English Country mansion, carriage house and cottage nestled on 30 secluded waterfront acres. Spectacular water views from all rooms. Jacuzzis, fireplaces, private baths, dock, canoes and paddleboats. 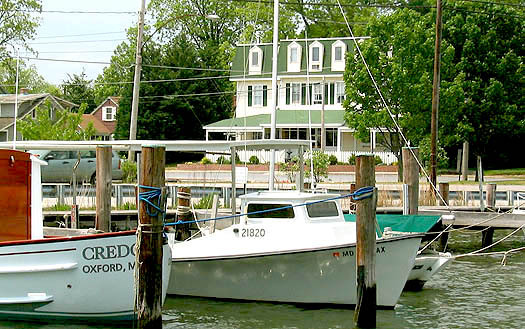 18 B&B style guestrooms and suites with screened-in porches overlooking the water. Two rentals have kitchens, great for extended stays. Private sandy beach with stunning sunset views. Breakfast basket delivery included. Located in the historic district of town. Walk to restaurants, shops, and ferry. Not recommended for children. Corporate retreats welcome. Member of Select Registry Distinguished Inns and Small Hotels. Once the home of Robert Morris who gained fame as “Financier of the Revolution”. Now the Eastern Shore’s most unique historic restaurant with rooms. Dining prepared by Chef Proprietor, Mark Salter.